Blog - Enjoy Afternoon Tea in Style with Royal Crown Derby. 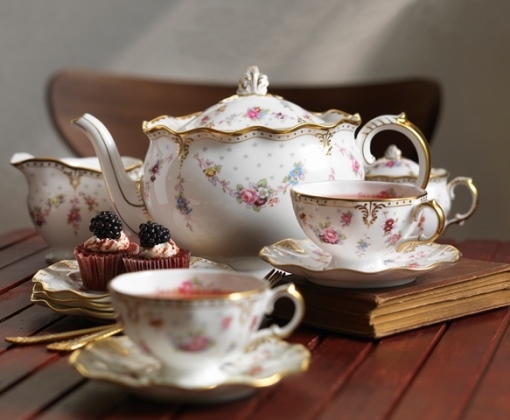 Enjoy Afternoon Tea in Style with Royal Crown Derby. Here in the UK National Afternoon Tea Week (14th – 20th August) is well underway. What better way to celebrate this great British tradition than to look at a selection of Royal Crown Derby’s luxury tableware. From the traditional florals and archival patterns to the more stylised contemporary patterns, which you can enjoy a luxury afternoon tea experience in style on the finest bone china. In the 1840’s, when afternoon tea first took its roots in the United Kingdom, tea was reserved for the aristocracy with it being an expensive commodity at that time. 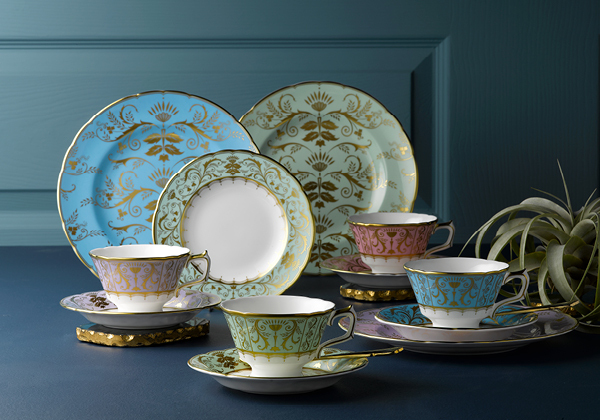 Tea drinkers enjoyed their favourite beverage in fine bone china adorned in beautifully hand painted floral motifs many unique and personal to the owner inspired by landscapes and botanical scenes, highlighted in gold detailing to exude opulence and status. Royal Crown Derby were at the forefront in making fine bone china during this time using decorating artistry by skilled artisans. Today, Royal Crown Derby offer patterns inspired by these wonderfully intricate designs from the archives stored at the Osmaston Road Works factory in Derby using techniques that have remained unchanged throughout the years. From the beautifully detailed floral designs of the Royal Antoinette pattern which combines with timeless elegance and quintessentially English design, perfect to create a setting inspired by traditional teaware used for centuries to the archival Darley Abbey design which uses inspiration from 18th century to create a stunning and simplistic Regency inspired style. Both finished perfectly with highlights of 22 carat gold, a perfect touch of luxury to a traditional afternoon tea experience. Luxury and Contemporary Afternoon Tea. As the tradition of afternoon tea evolved over time to become the time-honoured tea experience introducing new flavours and influences that we know and love today. So has the luxury fine bone china teaware that afternoon tea is served on. From the luxurious Gold Aves design, a beautiful rendition of a popular Royal Crown Derby archive pattern, adapted into an opulent style using 22 carat gold creating a dramatic and elegant tea setting, to the modern geometric Oscillate design inspired by architecture and mechanics. Created in monochrome tones of rich ochre yellow or deep onyx black and highlighted in 22 carat gold, it creates a wonderful mix and match tea setting. 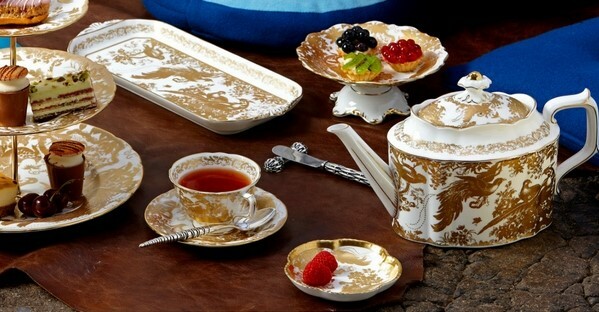 Each design is perfect to serve a stylish and luxurious afternoon tea. In honour of National Afternoon Tea Week Royal Crown Derby are offering you the chance to enjoy Tea for Two. Purchase two tea cups and two tea saucers from the Royal Antoinette, Darley Abbey, Gold Aves and Oscillate tableware patterns highlighted in this feature and we will complete your Tea for Two with two 16cm tea plates for free. Perfect to enjoy your own afternoon tea for two.